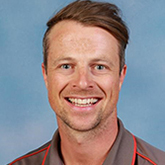 Danihers are delighted to introduce Kyran Kelly our Maintenance Officer at Presentation College Windsor. Kyran brings vast knowledge of plumbing, electrical, repairs, and general maintenance. In addition to this, Kyran has a wide-ranging knowledge of facility management, operations and working with chemicals through his experience in the water industry. In this role, he is responsible for maintaining the College’s buildings and equipment to a high standard and providing a safe environment for the College community. Kyran recently moved from Echuca to Melbourne and is enjoying the restaurants and live music. Still a country boy at heart, Kyran likes to spend his weekends camping and mountain bike riding in the country.